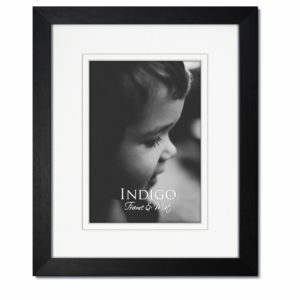 Indigo Frame & Mat offers a line of collage frames with multiple opening mats. These items include a solid wood frame and multiple opening mats that are acid-free with a white beveled core that will not yellow over time. This product also contains clear glass and hanging hardware in order to hang the picture frames either vertically or horizontally. We can also include the multiple opening mats in different frames upon request. 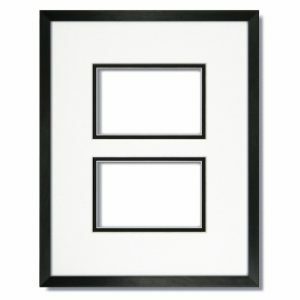 This style of frame is great for family photos, portraits, fun memories and more. All frames and mats are brand new from the factory. The frames are shrink-wrapped for added protection. The mats are made in the USA and come packaged in a clear cellophane re-sealable bag. 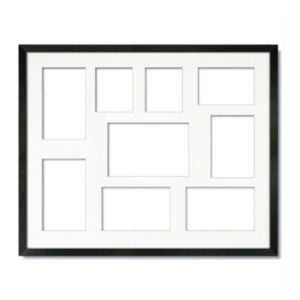 We invite you to browse our mulitple opening Collage Frames!